Happy New Year everyone! I hope that everyone had a lovely Christmas and New Year? Now that it’s the start of a new year I’m turning my attention to what I want to achieve from my blog. 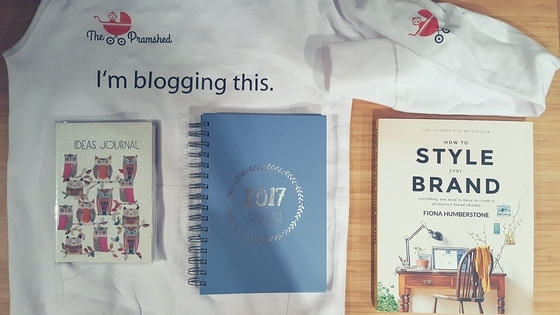 In 3 days time my blog will be 1 year old, and I feel incredibly proud for what I achieved in 2016 with The Pramshed. I never realised that I would love it as much as I do. Nor did I think that it would enjoy writing as much, chatting to bloggers, and promoting my posts on social media. So now it’s time to turn my attention to my 2017 Blog Goals. Goal 1: To be better organised with my blogging and put more of a structure in place. I found last year when I was behind with writing I would start to feel a little stressed and overwhelmed. In reality I can only post twice a week plus my Linky post, and anything more than that is a bonus. To do this I’m going to try to post on a Sunday and Wednesday, which should set the week off to a good start. I’ll use my commute for #fortheloveofBLOG linky commenting and Friday night for writing the Linky post. Goal 2: To be better with my social media use. This is an area that I can really improve on as I currently spend every bit of free time checking Twitter, Facebook or Instagram which is obviously not the best use of time. Instead what I want to do is dedicate chunks of time to social media use by limiting it to 9pm, and any time after that is spent writing posts or commenting. Goal 3: To set my core blog brand values. After attending the brand course at Blogfest I realised how important it is to set your brand pillars and stick to these, which should help define your brand. I’m going to spend the first quarter of 2017 really thinking about my blog as a brand to help determine its direction and niche. Goal 4: Have a permanent brand partnership set-up. I worked with some really lovely brands in 2016 that I feel are matched well to my blog, these include My Little Piccolo and Fred. In 2017 I would really love to have a permanent brand partnership set-up. Goal 5: To attend at least two blog conferences. I already have my ticket purchased to the Lucky Things Meet Up hosted by Sunita from Lucky Things Blog that I’m attending later this month. I know that this will be a really good event, and I’m already looking forward to meeting up with other bloggers and seeing how I can take my blog further. I would also like to attend Britmums Live again too, as their conference last year was excellent. Goal 6: To continue co-hosting #fortheloveofBLOG. Myself and Fi from A Mum Track Mind had a brilliant year in 2016 with the Linky, and have already formed a community. We have exciting plans for 2017 and have now launched our Facebook page. I would love the Linky to continue being a success, with regular bloggers returning each week to link up, and seeing our community grow. It would be nice if we could have a #fortheloveofBLOG group photo at a future blogging conference. That’s it, those are my blogging goals for 2017. I feel that they are all achievable with hard work and discipline. I’ve learnt so much from one year of blogging in 2016 that I can apply to 2017, so watch this space to see how I get on. What are you blog goals for 2017? I would love to hear from you. Kimberly recently posted…Little P’s first ever solo social: the cringeworthy music class. Great post and great goals, really great to see what others have achieved, it makes it seem more possible to do it if i organise myself, and do not get sucked into social media all the time!! What a fab year you had, good luck in 2017! thetaleofmummyhood recently posted…A New Year and a New Start? I plan to up my blogging game this year, I fell like I’m entering a world I completely don’t understand but hopefully I’ll get my head round it! Thanks for sharing your goals! Squirmy Popple recently posted…Should I be blogging about cats instead? You’ve identified some great goals for 2017. I am very impressed with how you have grown your blog in only 1 year!!! Well done. I don’t like setting too many goals as I get stressed when I don’t reach them but my main aim is to grow my email list. We’ll see how that works out lol. These goals are great – and very inspirational. I love blogging and I would love to dedicate more time to it. I really do need to get more organised and put more effort it. 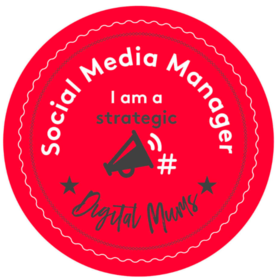 Upping my social media is one of my major blog goals too! It’s great to set goals and keep yourself accountable throughout the year. Good luck, your blog is really lovely and you’ve managed to achieve so much in the space of your first year! Claire recently posted…How To Create A Yearly Bucket List You Can Actually Achieve! These are great goals and you’ve achieved loads in just a year…I have been blogging a year this month and have really achieved very little! 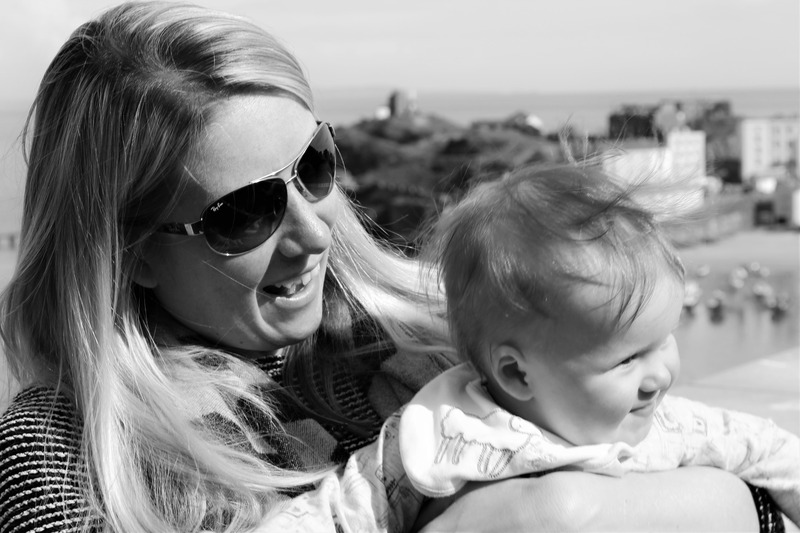 ONE CLUELESS MUMMA recently posted…EXERCISE WITH A NEW BABY: CAN IT BE DONE? Lucy grace recently posted…Me, Being Mummy: Weekly Update #86 Battle of Wills! Your stats are fantastic and I’m sure you’ll achieve all your goals this year. It’s great to try and be organised for the week; I’m only really able to write two or three times a week but I like to link up which makes me feel a bit more visible. Mackenzie Glanville recently posted…What is my blog really all about? Fab goals, and you are doing so well already! Looking forward to reading more from The Pramshed in 2017! Such a well-thought out strategy for growing your blog and online presence – a really fascinating read. As a new blogger, I’m pretty much making it up as I go along, and this post has given me some clarity in terms of next steps, so thank you very much! 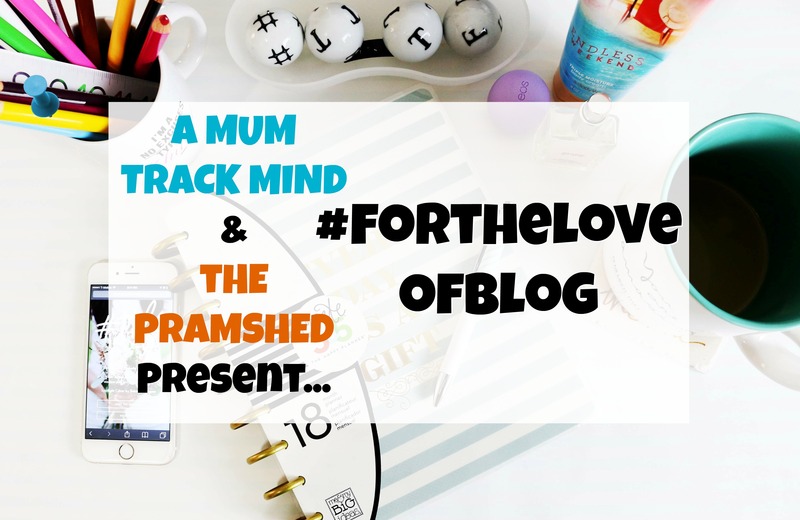 #fortheloveofBLOG is awesome, by the way! 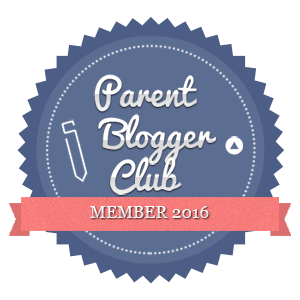 It’s great to have so many bloggers in one space and I keep coming across really interesting and incredible people – so thanks! You have some really good goals here, i’ve found my major hurdle this year to be coinciding my blog with full time work but not letting the blog slip. Ive got a guest series that started at the weekend and like you, other than that I think only 2 posts is do-able. unfortunately, I will have to stop with some Linkies but this is still going to be one of my keepers as you’re all so friendly here! I was considering going to the meet up later this month but I’m crap at socialising with strangers, even though through screens I can come across as super friendly! i might take the plunge. not sure yet! though BlogOn in September is an option. Even Hubby said he’s happy to drive me to Manchester and stay in a hotel to drive me there wooo! Amazing goals. Those stats would be amazing, good luck! Emma and Family recently posted…Chinese Cashew Chicken – from the slow cooker. You’ve done so much in 2016 I’m sure you’ll achieve fab things in 2017 too. And if you don’t meet some of your goals, that’s cool too. Your blog will still be amazing. Love your social media curfew. It’s good to have one as life isn’t just about blogging. Congrats for all your achievements. It sounds like you are very dedicated and organized. Goal number 2 (in my opinion) is a challenging one because it is very time consuming yet it is important. Thank you for sharing your blogging goals All the best.